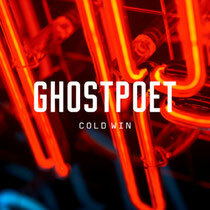 Two years on from the release of his Mercury nominated debut, ‘Peanut Butter Blues And Melancholy Jam’, Ghostpoet aka Obaro Ejimiwe releases ‘Cold Win’ - the second single from his sophomore album ‘Some Say I So I Say Light’ which came out May 2013 through Play It Again Sam. Hi, I do think this is a great web site. I stumbledupon it ;) I may revisit yet again since I saved as a favorite it. Money and freedom is the best way to change, may you be rich and continue to help other people.